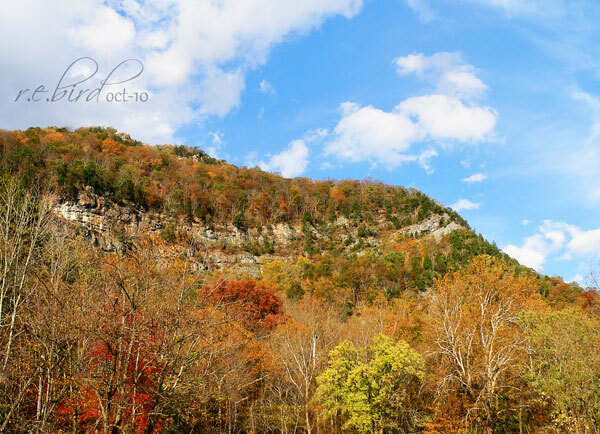 October is here and we all know that means time for leaf peeping around these parts. Here the leaves are starting to turn. The Dogwoods have turned their normal dark red and other low lying trees as well. Up high in the mountains, the leaves are turning as well. Another week, and the autumn colors will be in full regalia showing off their grandeur. If you're anything like us, then you are out and about every chance you get hiking, attending festivals, or any other outdoor activity that affords you the opportunity to enjoy the brilliance of Autumn. So if you haven't already, get those plans together to get outdoors and enjoy the show. You can always check here for ideas and events for where to find prime leaf color viewing spots and of course any of the other numerous outdoor blogs out in the web-a-sphere. Thank you all for linking to us and sending traffic our way. We hope that we have been able to do the same for you all, and keep doing what you are doing. See you all outside.